St.Amant is offering a free summer camp for children ages 4-7 with autism in our Autism Programs or waitlist. The camp provides children and families an opportunity to connect with other children with autism in a safe environment. 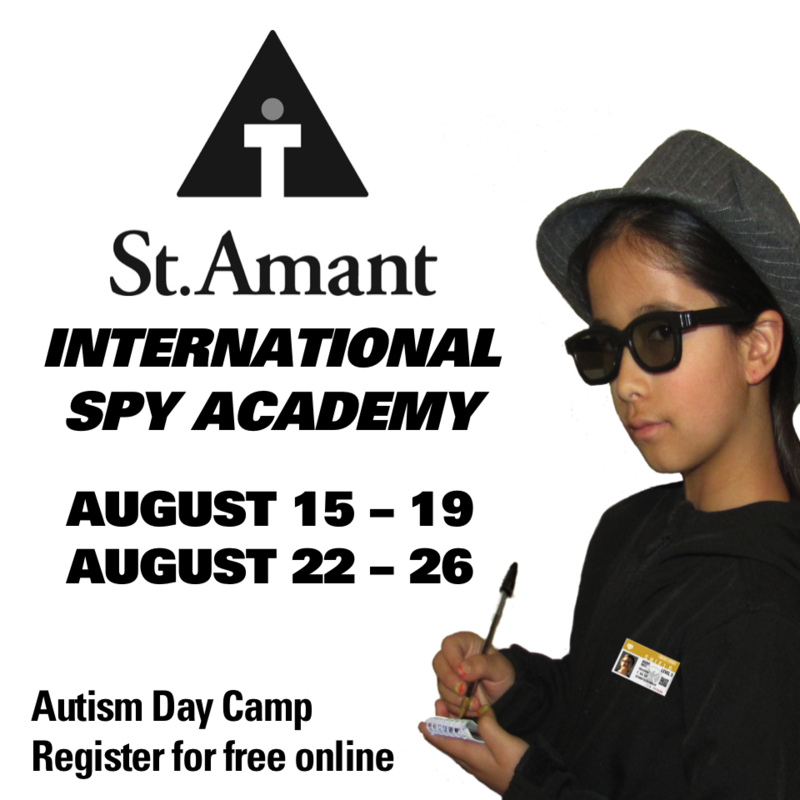 Staff and volunteers will facilitate a variety of “spy themed” activities daily for children to enjoy. Children participating in the camp need to be accompanied by a parent, caregiver, Respite Worker or Autism Tutor. Volunteers will be on hand to help facilitate a variety of spy themed activities. Camp is limited to one week per child and there are ten spots per week. The week of camp will wrap up with a graduation ceremony at 2pm. Guests are welcomed to attend. Registration is free as the cost of this camp is funded by the St.Amant Foundation.